The 2017 meeting took place from August 30th to September 1st in Wageningen, the Netherlands, and was organized by Marleen Boerjan (President IFRG, WPSA WG 6, Pas Reform); Glenn Baggott, (IFRG board, ed. British Poultry Science, London, UK); Ann Collin (IFRG board member, URA, INRA, Nouzilly France) and Barbara Tzschentke, (President of PDP/WPSA WG 12, Humboldt University Berlin, Germany). The atmosphere of the 2017 meeting was cordial and easy-going because of an optimum mix of PhD students, young and experienced scientists. Thanks to the active input of all participants new knowledge on basics of incubation physiology was exchanged during dining times and discussions. In addition the extra emphasis on the 7 posters presented strengthened the discussions between participants. With the support of the WPSA Speakers Bureau we were able to invite two early-career scientists as keynote speakers: PhD student Bence Lázár from the Doctoral School of Animal Husbandry, Szent István University, Gödöllö, Hungary was a keynote speaker in session 3: Impact of parental effects and Mylene Mariette, post-doc from the Centre of Integrative Ecology, Deakin University, Australia as the keynote speaker in session 4: Adaptation and epigenetic alteration in birds. Thanks to sponsors, incubator manufacturers HatchTech and Pas Reform, we were able to invite Prof Ton Groothuis from the Institute of for Evolutionary Life Sciences, Dept. of Behavioural Biology, University Groningen, as the second keynote speaker in session 3. The first session covered the influence of breeder/parental age and management on fertility and chick health. Boerjan (Pas Reform) addressed the formation of the ‘meiotic’ oocytes during egg formation in the hen and discussed the increase of chromosomal abnormalities as the hen ages. Molenaar (HatchTEch) showed there was no interaction between flock age and incubator oxygen concentration.Higher levels of incubation oxygen positively influenced embryonic development and increased post-hatch growth during the first week. The next two speakers from INRA-France addressed the influence of nutrition of broiler breeders on fertility, embryonic development and chick health. Project leader Dupont summarized their biomolecular/gene expression approach to study the effects of feed-restriction and supplementation of omega-polyunsaturated fatty acids (PUFAs) on breeder performance. The positive influence of PUFAs on reproductive performance (egg quality, fertility and steroidogenesis) was discussed. From the same group PhD student Mellouk summarized the effects of PUFAs in maternal feed on novel hormones (adipokines) involved in regulation of metabolism and growth of embryo and chicken. In conclusion, the research from the INRA research group shows the influence of maternal nutrition on transmission of epigenetics markers to a next generation. The second session concentrated on storage and handling of broiler and ostrich eggs. It is general accepted that egg storage negatively affect incubation results and chick health during the growth phase. To minimize the negative storage effects ‘old’ and ‘new’ knowledge on embryonic development has been combined in new incubation practices. Ferreira (Aviagen) showed many field results of repeated heat treatment during storage (SPIDES) on improved hatchability and chick vitality and concluded that SPIDES or heat treatment during storage is of benefit to commercial breeds of broilers, layers and turkey. Cinnamon (Hebrew university, Israel) showed novel results on the development of the blastoderm in freshly laid eggs: a continuation of the studies of Eyal-Giladi and Kochav in the 1970s. He presented impressive details of the pre-incubation blastoderm using a novel 3D High Resolution Episcopic Microscopy (HREM). Using this technique it was shown that the embryos from older flocks are in a more advanced stage of development at lay when compared to embryos from younger flock. Cinnamon also showed that embryos from chicken eggs are better preserved when stored at 12 °C compared to those stored at 18 °C. Brand (Institute for Animal Production, South Africa; ref. Brand, 2012) presented a short overview of ostrich incubation and drew attention to the high levels of late mortality (40-50%) due to low weight loss. It appeared that water-loss, pipping time and day-old chick weight were independent of setting position and turning angle. A clear seasonal interaction was found with a decrease water loss from winter to spring to summer. Pipping time became later and day-old chick weight heavier from winter to summer. The last two presentations were related to practice of commercial incubation. 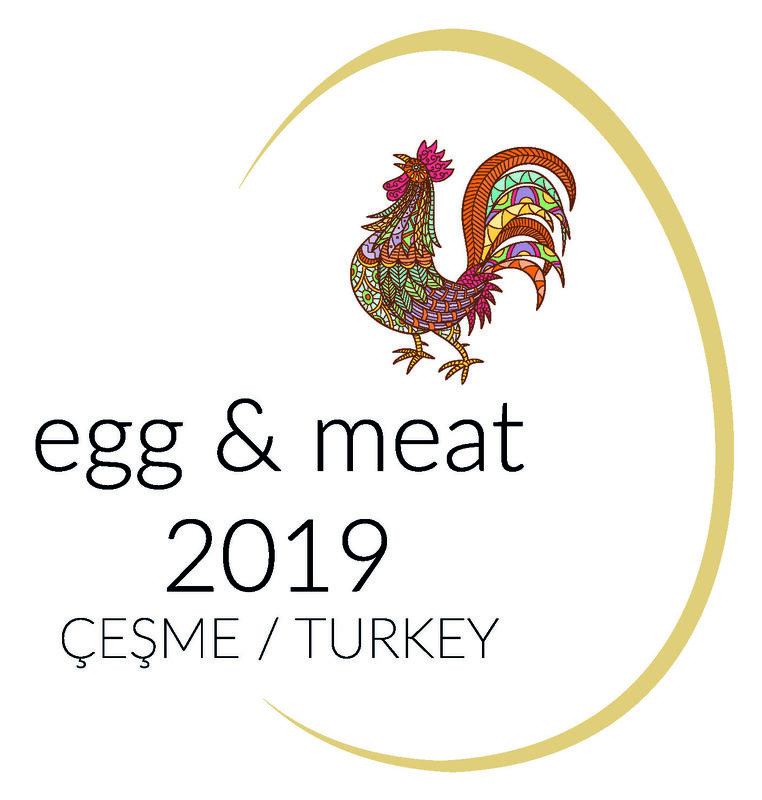 Torma (Institute of Animal Sciences, Hungary) showed that controlled shaking of hatching eggs using a vibration plate could be an alternative for turning during storage. Low levels of shaking broiler eggs (n=8100) is not a viable alternative to turning during storage. Nasri (INAT University, Tunesia; WUR- Netherlands) studied the impact of hot climate and storage on hatchability and chick performance. Results showed decreased chick weight and percentage of heart, liver and intestine, when storage duration increased. Keynote speaker Lázár (Hungary) presented a new approach to increase resistance to heat stress in Transylvanian Naked Neck chicken. He studied the combined impact of heat treatment ( 2-day old chicks kept at 38.5 °C for 2 hr) and heat stress (chicks were kept for 12 weeks at 30 °C) on chicken embryos and chicken primordial germ cells (PGC). Three different experimental groups were analysed for sperm quality and embryo ‘quality’ in eggs from treated parents: (1) control (non-stressed), (2) heat stressed and (3) heat stressed +heat treatment. Reproductive performance (egg production and number of PGCS) was highest when parents received the combined heat treatment + heat stress. Thus this Hungarian research group emphasised the parental influences on hatched offspring, and these observations may become of great significance for breeder management practice. The two next speakers (Institute for Evolutionary Life Sciences, Dept. of Behavioural Biology, University of Groningen) discussed several issues concerning the function of maternal steroid hormones in the yolk of hatching eggs. PhD student Kumar presented a detailed analysis of allocation of maternal steroid hormone in eggs of rock pigeons. Results showed a strong early embryonic steroid metabolism. Professor Groothuis, a keynote speaker, presented a detailed review of steroid hormones of maternal origin in different avian species. It was of great interest to learn, for example, that in commercial chickens the level of androgens in ejaculate of the male influences the immune response of the hatched chicken. Coustham (INRA Nouzilly, France) discussed how heat treatment affected embryos of inbred Japanese quail. Cyclic increase of embryo temperature from E0-E13 induced metabolic and physiological alterations that persisted during the first weeks after hatch. The keynote speaker Mariette presented an impressive lecture on how zebra finches signal high temperatures to their embryos. The zebra finch is an example of how prenatal acoustic communication can influence thermoregulation in offspring. The acoustic response in growth and thermoregulation of the late stage embryo was reviewed for different species including domesticated chicken. The statement: “incubation temperature programs offspring thermoregulation capacities” certainly needs more attention from the commercial incubation industry. Wineland started the session by addressing the importance of optimum incubation conditions for in-ovo vaccination. In fact, the most important is factor for best results is the location of vaccination. The best location is the amnion and second best are sub-cutaneous and intra-muscular sites. The next speaker of the session hatchery manager Salem (Delmonte group, Amman Jordan) showed that in his hatcher due to good incubation practice in-ovo vaccination improved results if the highest standards of hygiene were achieved routinely. Druyan (Volcani Center, Rehovot Israel) introduced an incubation related method to reduce the incidence of tibial dyschondroplasia (TB) in Cobb embryos. The results suggest that hypoxic exposure (13% oxygen) during the limb bud stage (E6-E9) increase angiogenesis, and improved oxygen supply to the growth plate and thereby reduced susceptibility to TB. Van den Brand (Wageningen University, Netherlands) and his group investigated the interaction between carbon dioxide concentration and eggshell temperature during the second half of incubation. In this 2x3 factorial experiment the different CO2 concentration had limited effects on the results, whereas high temperatures affected hatching time and chick quality. Maatjens presented results of incubation at different egg shell temperatures from day 15, 17 or 19. Chick quality at placement was highest when the embryos were incubated at an egg shell temperature of 35.6 °C from day 15 until hatch. Van der Pol discussed the positive effects of circadian lighting (16L:8D) on embryonic bone development. Overall applying a light-dark rhythm during incubation may improve leg bone development and leg health at slaughter age compared to continuous light or continuous dark incubation. In the last, sixth, session, 5 lectures focussed on the 'control and programming of energy balance'. Friedman-Einat presented data for gene-expression of adipokines in visceral fat of commercial layer and broiler lines. Illumina RNA-seq analysis was performed on samples from three female layers and three female broilers at the first week of lay. 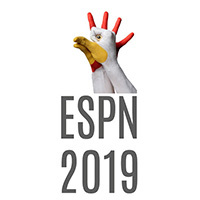 Results demonstrated specific adaptations of the adipose tissue gene expression achieved through selective breeding of the commercial chickens to specific traits. Tzschentke (Humboldt University, Berlin) showed that White Leghorn embryos treated in-ovo with glucose from day 14-17, developed a long- lasting (first 3 weeks after hatch) glucose resistance as observed in a decreased neuronal glucose sensitivity tested in brain slices. Also a decrease in receptor expression for insulin, leptin and glucose-transporter. In relation to this observation the risks of in-ovo feeding were discussed. The next speaker van der Pol (HatchTech) showed that after early feeding the metabolic production increased to 521 mW/chick E21.5. In comparison the control non-fed chicks plateaued at 340 mW/chick. Based on these results the speaker discussed the need to adjusted environmental conditions during transport of early fed day-old broiler chicks. 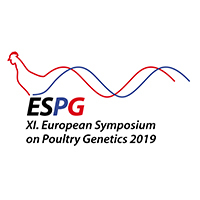 In a subsequent lecture Tzschentke (Humboldt University, Berlin) discussed the results of a combined project with Halle ( Research Institute, Celle) on peri-natal temperature training (PPT) of different genetic lines: broiler Ross 308, layer Lohmann Brown, Lohmann Dual and Lohmann tradition. For PPT the incubation temperature was increased by 1 °C during in the hatching phase. It was shown that mainly in male Ross 308 broilers, and in males of females of layer lines (Lohman Brown and Lohman tradition) hatchability was increased after PTT, which was not found in a second study on Lohmann dual and Lohmann Brown. Improved feed conversion rates and increased growing rates were observed in broiler and Dual chickens but not in males of the layer lines Lohmann Brown. Last speaker in the combined 2017 meeting was PhD student Tatge (Humboldt University, Berlin)., who reported on the neuro-peptide Y (NPY) protein expression in the hypothalamus of Ross 308 broilers after perinatal temperature training at a commercial scale in a broiler hatchery. In three incubation cycles the temperature was increased by 2°F during the last days of incubation setter and one day in the hatcher. In general there were no negative effects on hatching results and performance in the farm. Results of NPY-analysis show a statistically significant lower hypothalamic NPY-expression in male chicken of PTT-group only, indicating a lower basic metabolism for male Ross 308 chicken as long-term effect of PTT. At the of the meeting delegates agreed that the 2019 combined meeting of IFRG working group 6 and the PDP working group 12 will be organized in Tours (France).